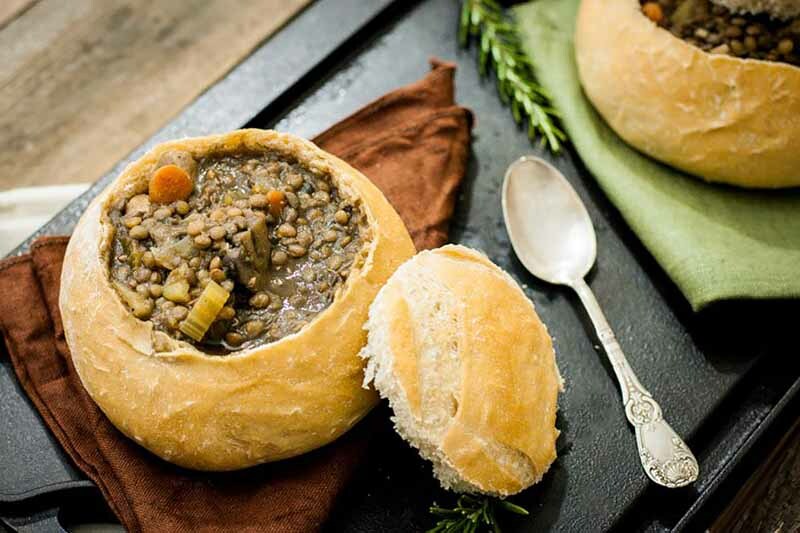 Want something a bit different for your vegan-friendly winter or fall fare? This Farro Risotto with Mushrooms & Kale is an alternative to your normal rice risotto yet comforting with a creamy sauce and chewy farro. 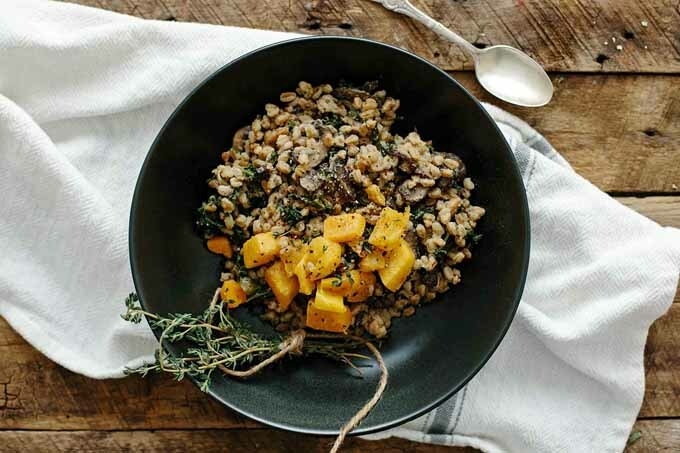 Earthy flavors are provided by the mushrooms and kale and roasted butternut squash provides a slightly sweet flavor. Get the recipe now! 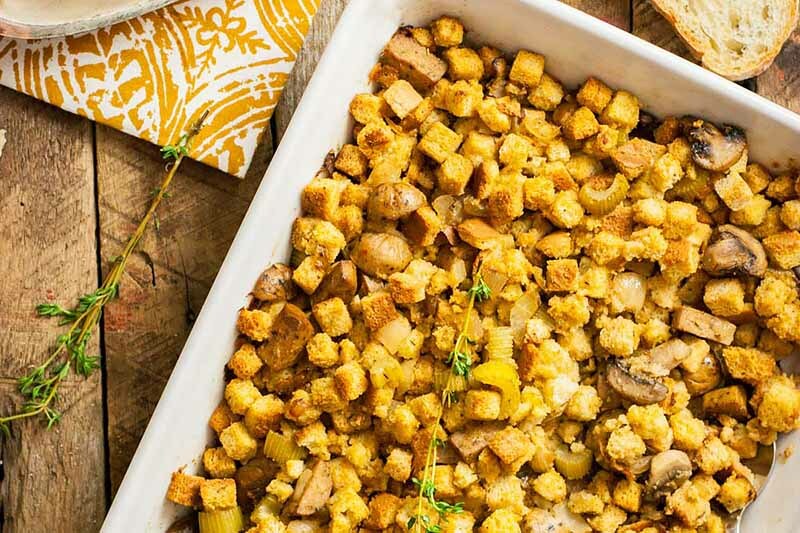 This easy vegan stuffing uses a boxed mix to start, but gets a flavorful update with a fun mix of spices, vegetable broth, and fresh veggies like onions, celery, and mushrooms. It’s a special side to serve for Thanksgiving this year, for everyone to enjoy. Learn how to make the recipe now on Foodal. 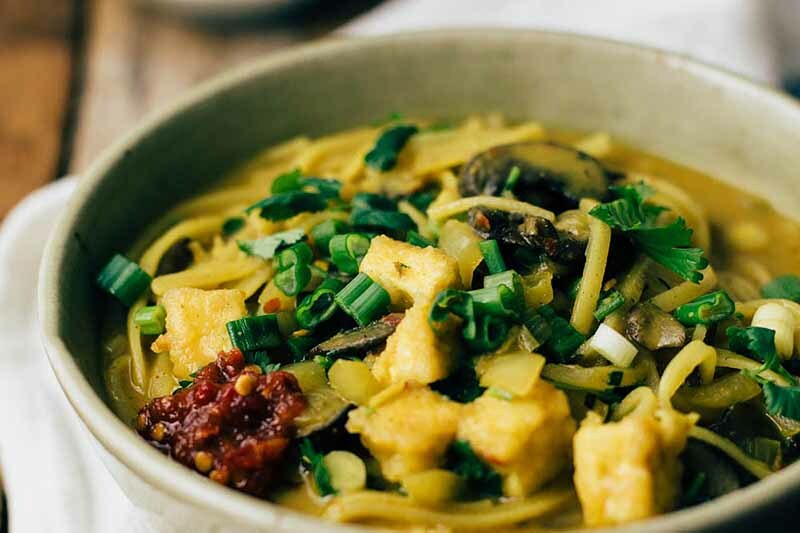 Do you love a steaming hot rice-based comfort food dish that you can tuck into, but you need something that’s dairy-free or vegan-friendly? 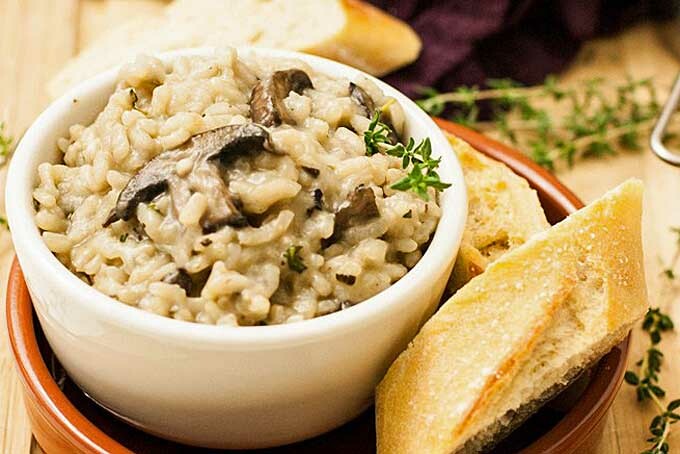 Try this Mushroom and Herb Risotto recipe. No heavy cream or any animal products, and it’s full of rich flavor. 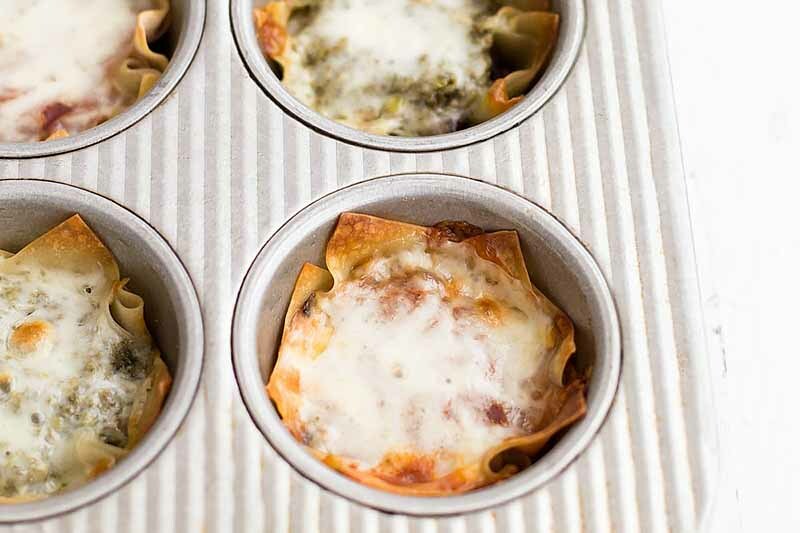 Get the inside skinny now on Foodal and make it for dinner tonight! Looking for a comforting vegan soup? 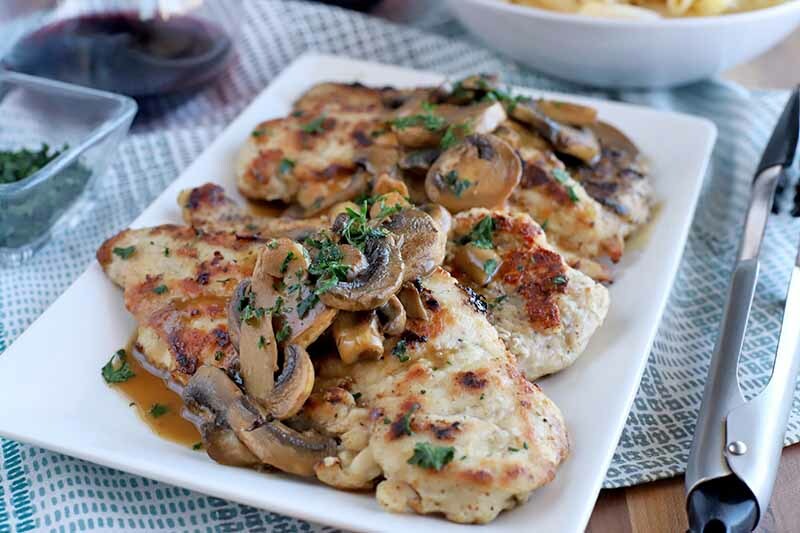 Try this easy 30-minute recipe for dinner tonight. 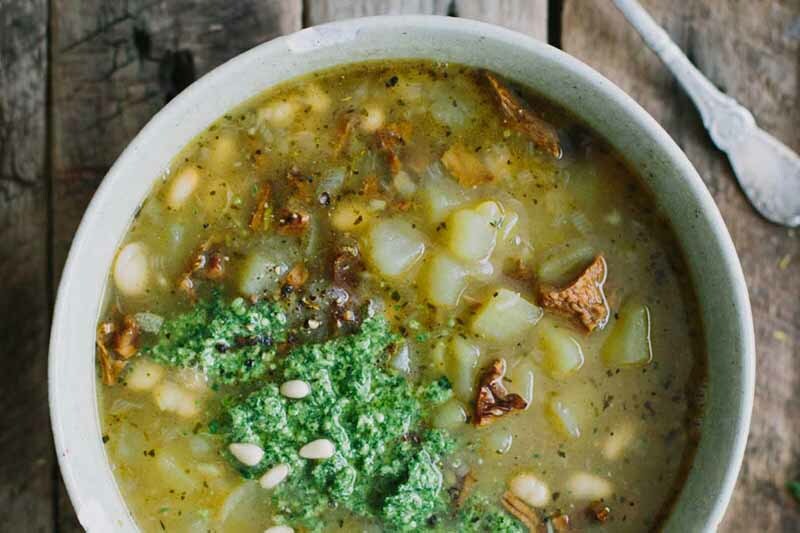 Chanterelle mushrooms, white beans, and potatoes all provide hearty bites, and a scoopful of homemade arugula pesto on top balances the flavors of the dish with a spicy freshness. Learn how to make the recipe now on Foodal. You’re going to fall in love with the savory flavors of this vegetarian pesto pizza. 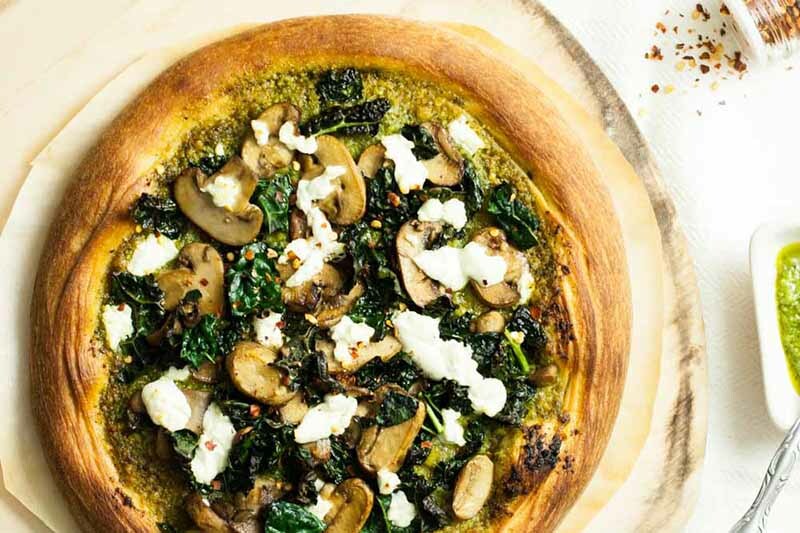 Enjoy big bites of sauteed mushrooms, wilted kale, freshly crumbled goat cheese, and a pinch of red pepper flakes for a little heat. 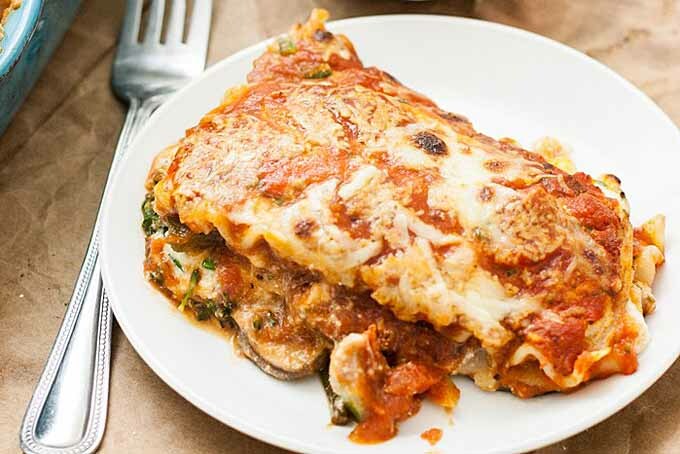 And with store-bought dough, it’s an easy and delicious meal to make at home. Read more now. 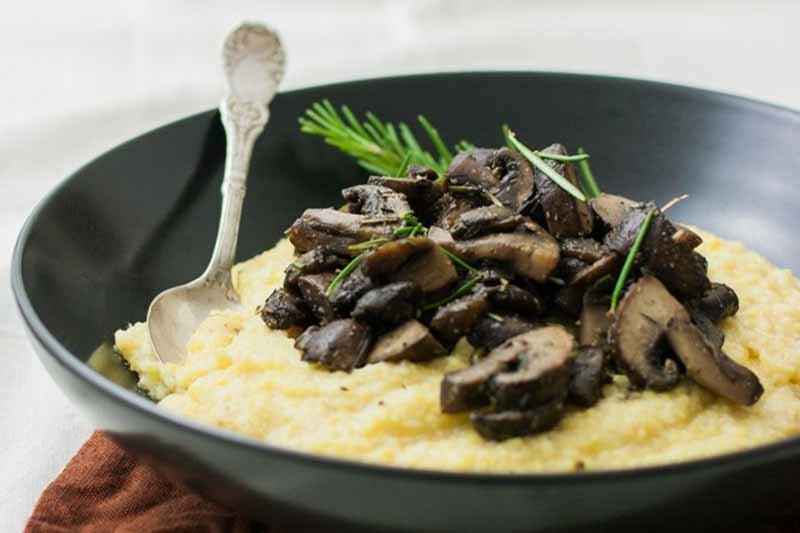 This easy and creamy polenta requires no standing over the stove for a long amount of time. All you need to do is cover and let it cook, stirring just every now and then. 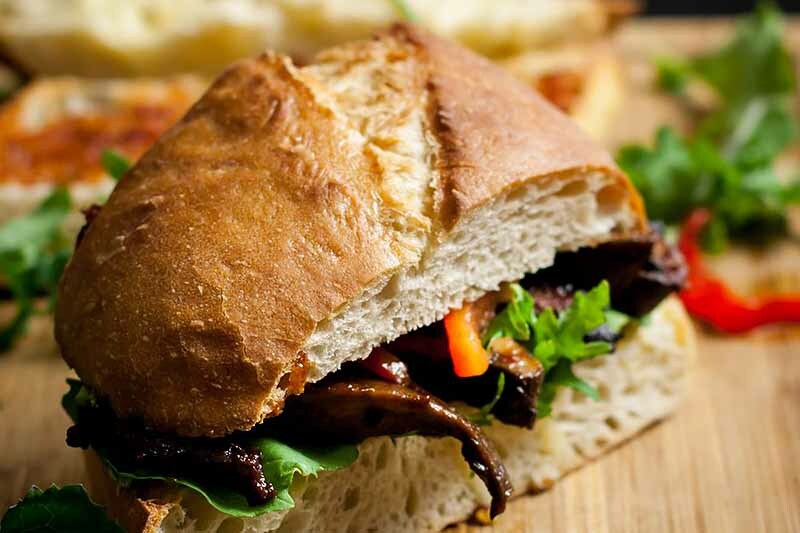 Simply prepared mushrooms cooked in sherry and fresh herbs served on top pull this vegan dish together for a hearty dinner. Foodal shares the recipe.